Today at Roof India 2012 SABIC’s Innovative Plastics business is once again demonstrating how it is powering the long-term commercial success of its customers with the announcement of a capacity investment in India. 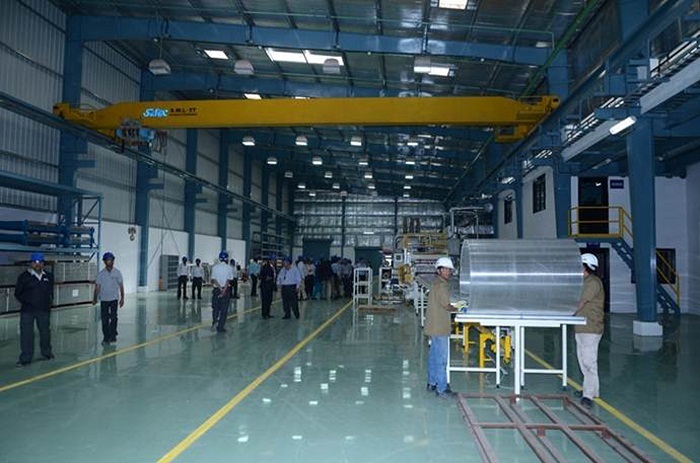 Specifically, the company will open a state-of-the-art Lexan* multiwall sheet production line at its Vadodara, India manufacturing facility to provide customers in the country and the greater Asia with a fast, reliable source of these high-performance materials. This new line will help meet rising customer demand in the region for SABIC’s high performance Lexan Thermoclear* multiwall polycarbonate (PC) sheet products used for roofing and glazing in the building & construction and greenhouse sectors. The new Lexan multiwall sheet production line strengthens SABIC’s already extensive capabilities in the region, which include a local team of expert technologists and a complete supply chain and distribution organization. This investment further demonstrates SABIC’s commitment to creating and supplying tailored solutions to fit its customers’ specific needs to help them effectively compete and grow in their markets with world-leading capabilities. India’s vibrant economy is achieving 7 to 9 percent growth per year1, driven by extensive infrastructure investment and development, especially in the commercial and industrial roofing sectors – such as airports, rail stations, metro rail, bus stations, malls and hospitals. The new line at Vadodara is an outgrowth of SABIC’s culture of ingenuity and will produce high-quality two-sided ultraviolet (UV)-protected Lexan Thermoclear multiwall sheet in clear and custom colors targeting roofing, glazing and cladding applications. 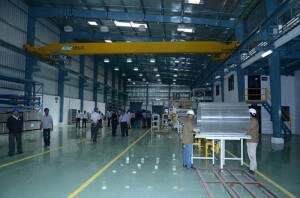 The expanded Vadodara facility features world-class quality assurance processes, including a unique UV-protective coating system as well as cap layer measurement and color measurement systems. The plant is strategically located next to SABIC’s specialty and performance plastics compounding lines to drive rapid application development and custom color options. Lexan Thermoclear multiwall sheet products are versatile thermoplastic glazing materials that have been used in roofing, cladding and glazing for more than 30 years. Lexan Thermoclear sheet is significantly lighter in weight than glass while offering high stiffness and more than 250 times the impact resistance of glass to reduce the risk of breakage from wind, hail, and other extreme weather, as well as vandalism. Lexan multiwall sheet also illustrates how SABIC continues to develop new industry standards with top-end glazing materials that deliver measurable return on investment through ease of installation; lower insurance costs due to weather damage; and less need for replacement due to UV degradation, weathering, and breakage. NEW GASKETING RESIN FROM INTERTRONICS OFFERS FIP, CIP AND SEE-CURE TECHNOLOGY!